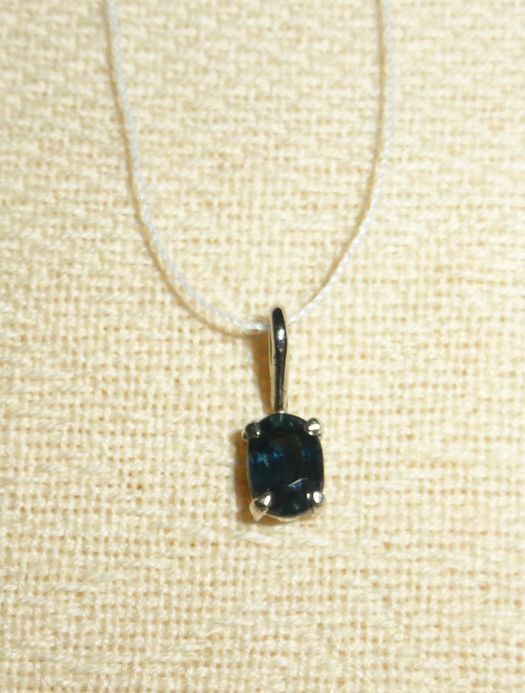 Charming small pendant in grey gold with a nice dark blue sapphire. 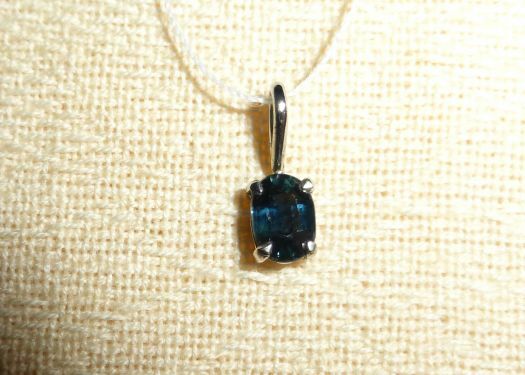 This sapphire has been controlled by an expert, it is a natural one. 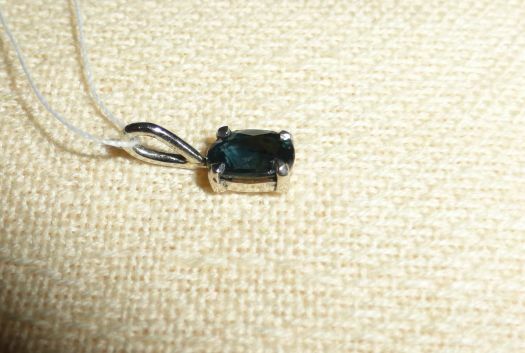 It measures 4,2 mm x 5,5 mm. 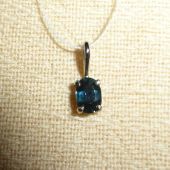 Nice authentic jewel, charming and discrete !